Where does the time go?…time flies (insert every other cliche saying about time…… here). Well, here’s what I’ve been up to since the last: djing, djing and more djing. Wait, I also split my finger playing softball. 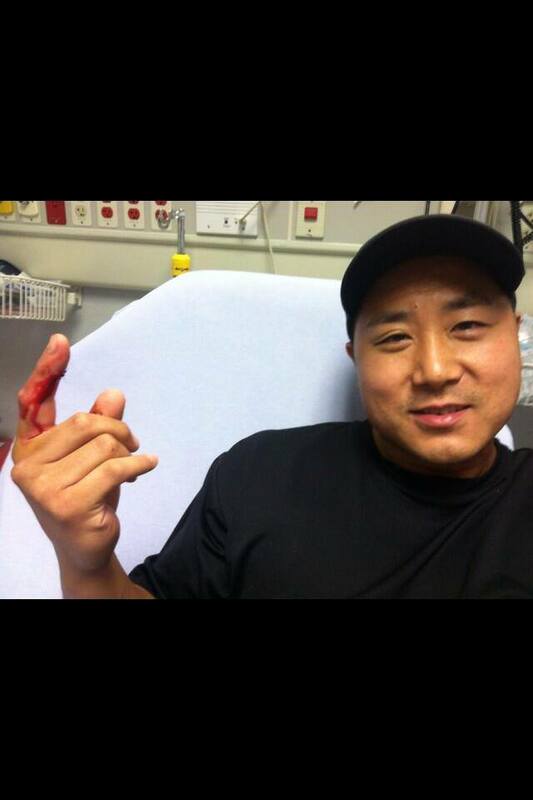 In short, it happened while making a diving catch in the outfield. 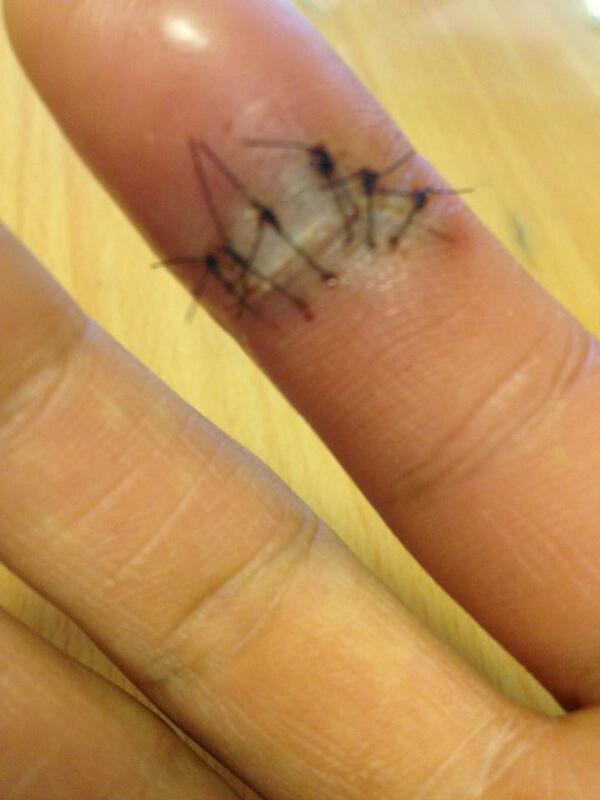 In the end, I needed 6 stitches. The important part is I caught the ball right? Anyways, this was an eventful week as I was djing Club Mine on Thursday, a Sweet 16 on Saturday afternoon and the Sights and Sounds party at Vapor Night Club with Deejay Element at night. Club Mine reached out to me and wanted to include me in their 1-2-3 promotional lineup for the summer. As you may already know, Saratoga is a popular destination come this time of year thanks to the race track. This month, I will be kicking the weekends off djing at Club Mine on Thursday nights. 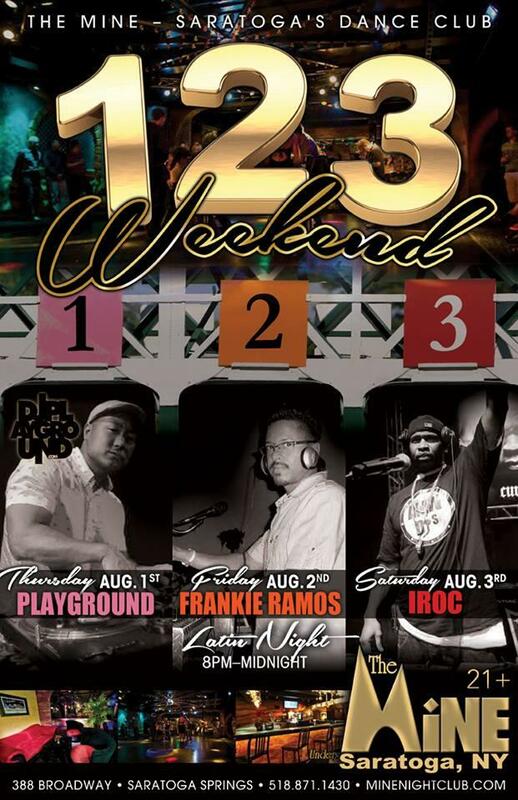 Friday nights is Latin night with Dj Frankie Ramos and Saturday night Jamz 96.3’s own Dj Iroc is djing. Before this Thursday, I have never been to Club Mine. To my surprise, Club Mine looks amazing inside. The staff was super welcoming and the crowd was very friendly and receptive to just about anything I played. 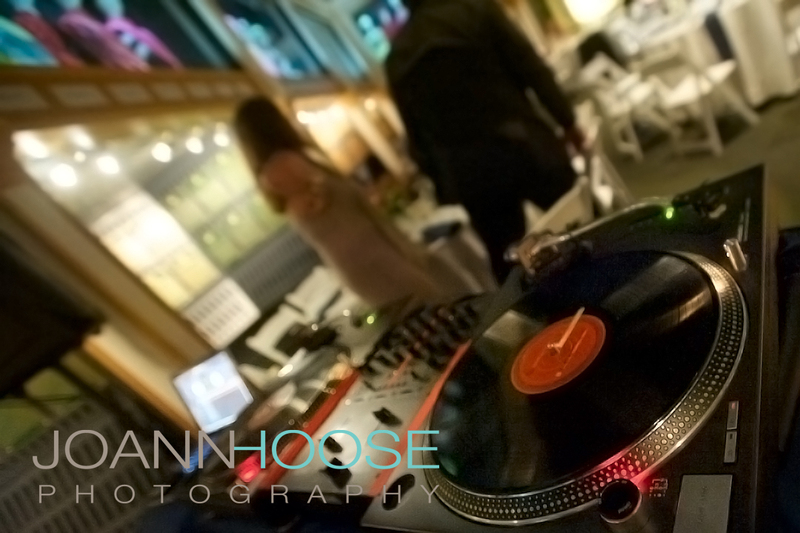 Many of the patrons paid visits to the dj booth to compliment the music! I’m super excited to dj an open format club where anything goes. If you are out and about on a Thursday night, stop by. Don’t take my word for it…definitely come see for yourself! 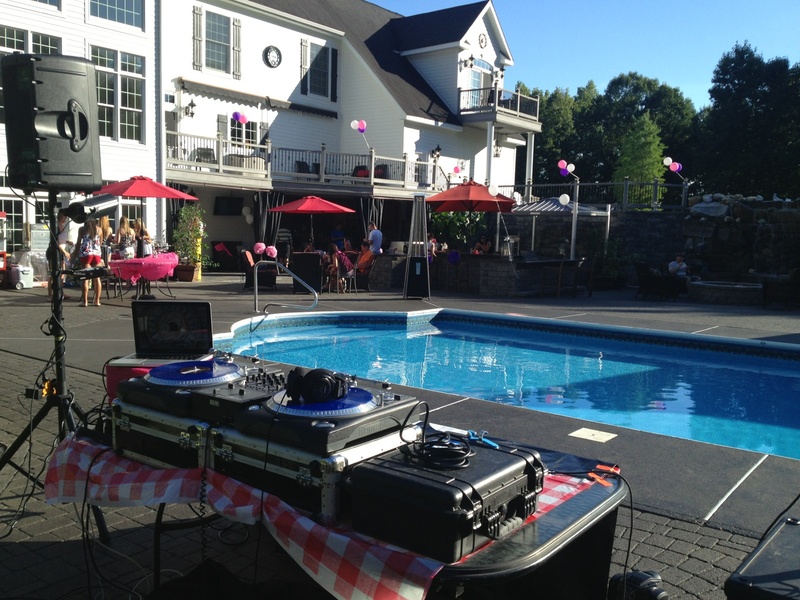 Saturday afternoon I dj’d a Sweet 16. However, this was no ordinary sweet 16. This party had the works. It was located on a beautiful backyard with an amazing in-ground pool and hot tub. The outdoor kitchen was something you could only dream of….in an indoor kitchen! The pool house was…you get the idea! The party started off slow as the kids were slow to warm up. Remember guys, this is a sweet 16. Boys stayed in one area while the girls congregated in another. It was only a matter of time before these kids were up dancing together all around the pool…Vegas style!. The party had the works. A great backyard, catering, me djing, oh did I mention a helicopter? Yes, the kids were taking turns riding a helicopter. I didn’t get a chance to take a ride (not that I trust those things lol), but supposedly they were flying to SPAC while the Lil Wayne concert was going on. All in all, it was a night to remember and these kids definitely had a blast! I closed out the weekend djing with my long time friend Deejay Element at Vapor for the Sights and Sounds party. Deejay Element and I have been friends for over 15 years and it’s always a lot of fun to dj with him. 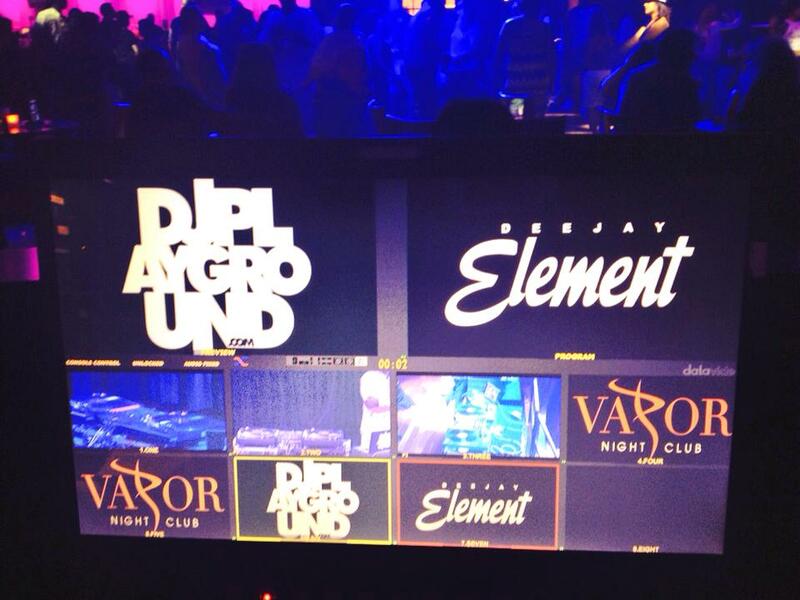 Check out the pic below I took of the monitor behind the sound and lighting booth. 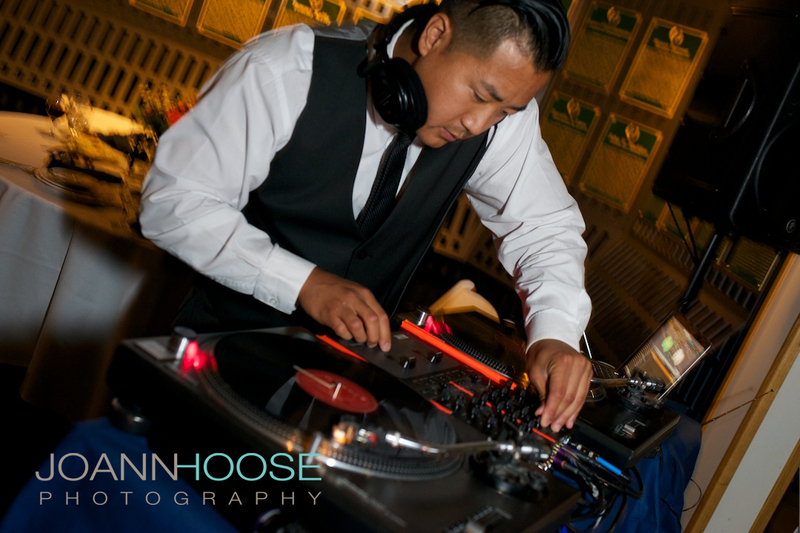 Jamz 96.3’s own j-Will hosted the night and kept the crowd involved and engaged the whole night. Element and I went hour for hour and we kept the crowd rocking. If you haven’t been to a Sights and Sounds party you are truly missing out. I’ll be there this Saturday August 10th mixing up the videos. We hope to see you there! 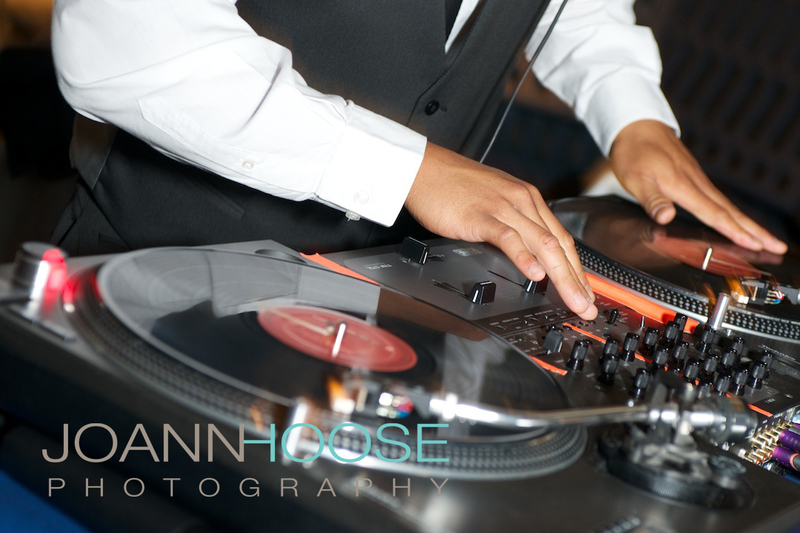 This past weekend, I dj’d a wedding reception at the National Museum of Racing and Hall of Fame. If you have been here then you already know that this is a very unique place. The reception was held in the “Hall of Fame” section of the building. I must say, It was an honor to dj there and you could not have helped but notice that you were surrounded by greatness. The plaques of champions names covered the walls and the colorful jockey silks graced the top of the room throughout. I spent the earlier part of the afternoon at the track… so being right down the street, I arrived nice and early. I even had the pleasure to take a leisurely stroll around the museum. The history of horse racing is captivating to say the least and I definitely want to make a return visit! The reception went very well and I have to thank all of the staff at the Hall of Fame for making everything so incredibly smooth. Just outside the hall, food stations were set up. The staff was super friendly and the food was nothing short of delicious. Compliments to the chef on a superb job on the sirloin! 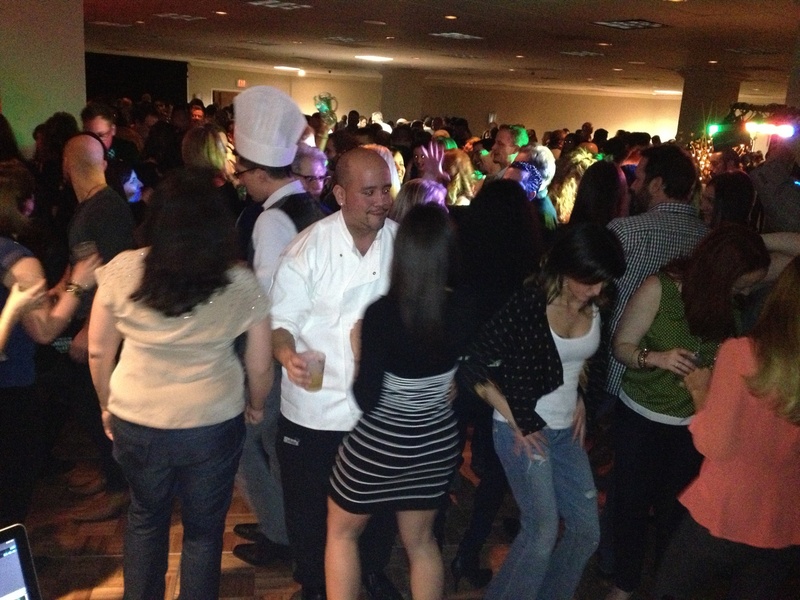 As the night progressed, guests of all ages from 7 to seemingly 70 stayed on the dance floor the entire night! I don’t know how they had the energy… Even my feet were starting to hurt! 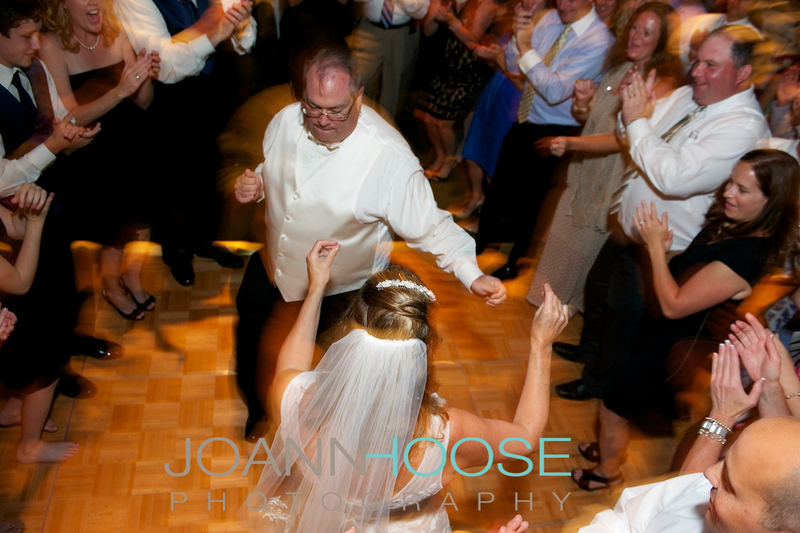 Joann Hoose Photography was in charge of snapping pics. Thank you Joann for sending some samples so promptly. I can’t wait to see the rest. The best feeling came the following day when the bride Colleen emailed me to say how happy she was with everything and how everyone was asking her for my number. To receive an email from a bride on her honeymoon thanking me reminds me why I love to do what I do. Thank you Colleen! This is where I will be. 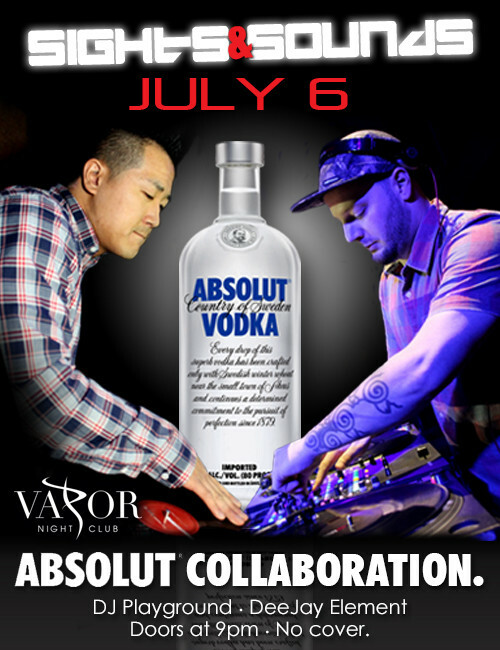 Come check out my long time friends Jake Allen (104.9 The Cat), Deejay Element and I at Vapor Night Club this Saturday for their 4th of July Absolut party. Sure to be a good night!